You can customize the way your charts look. Choose the number of generations, the box contents, pictures, color themes, backgrounds, box borders, and much more. It is so easy to use! 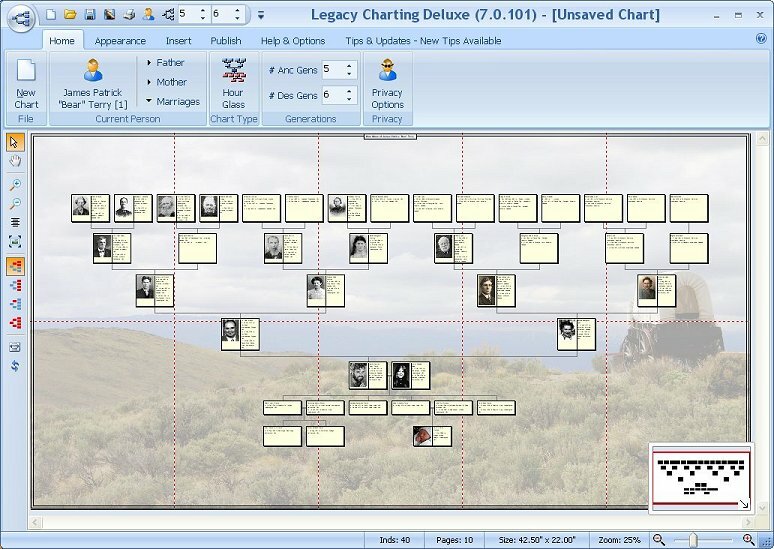 Just select your starting person, and Legacy Charting does the rest. Use our chart printing service and select either Bond paper, Presentation Bond paper, Professional Bond, Glossy Photo Paper, or even Artist Grade Matte Canvas. Just click on the order button and have it delivered to your front door. Click here to see our sample charts!